The stock market isn’t only more accessible – it also offers more opportunities for new and experienced traders to make money. The market may be volatile, but that doesn’t mean there aren’t opportunities to capitalize on the best-performing companies. At the end of the day, succeeding in the stock market is all about making the right trading decisions. That’s actually where the challenge lies. Making the right decisions when trading in the stock market isn’t always easy. As a trader, your decision-making skills are tested to the very limit. 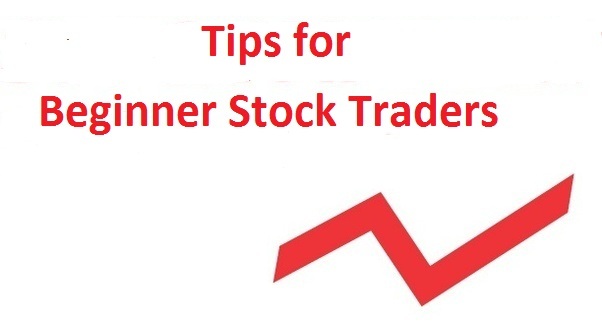 If you are relatively new to stock trading and you want to be better in making the right decisions when trading, these expert tips will help you. Many traders, especially beginners, forget that there is an actual company behind the ticker symbols seen on the screen. These symbols represent actual operations and the people behind them. Getting to know the companies you are trading is a big part of making the right trading decisions. The more you know a company, the better you will be in predicting how the company will respond to market changes. When you buy shares in a company, you are positioning yourself as a part owner of the business too. The decisions you make should be made based on your position as the owner of that business. When trying to figure out how a company will be affected by new tariffs, for example, you can assess the situation better when you know more about the operations of the company. Does the company manufacture their goods using imported raw materials affected by the tariffs? Does the company exports goods to certain countries? Ask yourself these questions and figuring out the right trading decision to make will be easier. The more information you have, the better you will be at sorting the right details to review, and the more reliable your decision-making process will be as well. Emotion doesn’t have a place in the stock market. As soon as you start trading emotionally, you’ll make all the wrong decisions and stop making cool and calculated ones. Trading emotionally is also a quick way to lose your margin and your ability to review the situation from an objective point of view. As soon as you open the trading console, leave your emotion behind. It is also necessary to set aside your ego and be fully objective in assessing the situation. You will be surprised by how much better your decisions are when every one of them is based on facts and not emotions. There is another reason why you should not be emotional when trading, and that is to avoid making bad calls when you do make a good trade. Positive emotions are just as dangerous as the negative ones. When you are ecstatic about a big margin, falling into the trap of making bad trades is just as big a risk as when you are trying to chase your losses. Always enter a trade with a clear plan in mind. You need to know a few things – answer a number of questions – before deciding to open a position or buy some shares. Why are you buying the shares? What are your target profits? Are you buying the shares for short-term gains or are you looking for long-term portfolio growth? The list of questions to ask yourself before opening a position gets pretty long. What’s important is that you know why you make your trade and how you will react in different situations. For example, you need to set a target profit to aim for and know exactly what to do when that target is hit. The same can be said for anticipating losses. What will you do when the stock suddenly tanks and you are left with some losses? Do you get out of the position immediately or do you wait for the company to recover from market changes? Work on these details and you will be one step closer to trading like a pro. “Learning is a big part of becoming a successful stocks, futures, and options trader,” according to Tom Gentile, a leading figure in the market. With over 30 years of experience under his belt, Tom really knows how to leverage learning as part of his life as a trader. It is true that learning is a big part of the life. You cannot stop learning about fundamental and technical analysis. The market is changing by the minute and you have to be willing to keep up with those changes in order to stay ahead. You also need to learn about the companies you are trading – as mentioned before – and understand more about them. The more you learn about the companies, the more you’ll know how they would react to different market changes. Lastly, you need to continue improving yourself as a trader. There are always new theories to study, better fundamental and technical strategies to try, and a wealth of other information to absorb. You don’t have to master everything to be successful. You just have to be willing to learn about the things that matter. Last but not least, always have a portfolio that you build gradually, even if you are positioning yourself as a day trader. Having a portfolio lets you work on long-term goals and strategies. At the same time, you have a foundation to lean on in a strong portfolio. Building a portfolio teaches you to be analytical and considerate when trading. It is also a great way to train yourself not to trade in an overactive manner. The stronger your portfolio gets, the better – and calmer – you will be when making shorter trades. There rest of your journey into the world of financial trading should be easier to handle now that you have these five expert tips in mind. Start today, learn a lot, and sharpen your trading skills to be the best.